Send parcels to, from and across Antrim at great low prices, with door to door service and full online tracking. You can make huge savings on your courier costs with NI Parcels. Whether you’re a Belfast based business, shipping product globally, or an individual who needs a package collected from Ballymena, NI Parcels can help. Cheap courier prices to, from and across County Antrim. Door to door collection and delivery throughout County Antrim. NI Parcels offers services from a network of top couriers, including: Parcelforce, DPD, City Air Express and Captain Courier. We provide their services at a significantly reduced rate, so, when booking with NI Parcels, you can expect a high level of delivery, but at a much cheaper price. When booking a courier with NI Parcels, you can be sure that your item will be delivered fast! We offer same day collection (when booked before 10am) as well as next day delivery and even same day delivery on many routes. 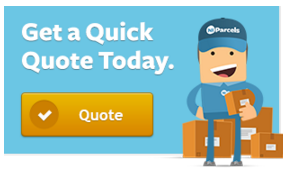 To see delivery times for your area, simply get a quote on our homepage. NI Parcels provides £50 free compensation cover for every shipment. You can increase this up to the value of £1,000 for a small additional fee if you wish. Before booking your compensation, we recommend reading our list of prohibited and non compensation items to ensure your parcel is covered. Of course, the best thing about NI Parcels is our low courier prices. Sending a parcel to, from and across County Antrim is incredibly cheap and we have especially competitive rates for larger items (over 5kg). There are no set size or weight limits with NI Parcels and we also delivery to 200+ countries worldwide. You can get a quick quote from us any time.